This House of worship, built in 1805, was first a Preparative Meeting under the care of Motherkiln (Murderkill) Monthly Meeting of the Religious Society of Friends (Quakers). In 1830, Camden Monthly Meeting was formed by uniting with Motherkiln and Duck Creek Monthly Meeting. It has since absorbed all other Quaker Meetings in Kent and Sussex Counties. Many members were active in the anti-slavery movement. Local Quakers such as the Hunn, Jenkins, and Cowgill families were well known for their efforts in support of abolition. Some served as conductors on the Underground Railroad, providing “safehouses” and passing fugitive slaves northward. 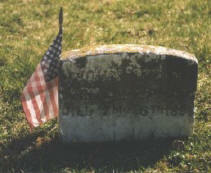 Of particular note was John Hunn, the Chief Engineer of the Underground Railroad in Delaware. A resident of the Middletown area during much of his life, Hunn was responsible for the operation of the network that transported thousands of escapees through Delaware to Wilmington, and thence to freedom. A man of great modesty, he declined to take credit for his heroic efforts. He was laid to rest in the adjoining burial ground following his death in 1894. 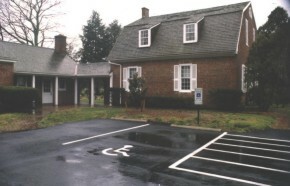 Camden Friends Meeting was listed in the National Register of Historic Places in 1973. Listed in NPS Underground Railroad Special Resource Study 1995. The Harriet Tubman Historical Society’s Freedom Tour 1990. Location: 122 E Camden-Wyoming Avenue, Camden, Delaware (302) 698-3324. The Delaware Public Archives operates a historical markers program as part of its mandate. Markers are placed at historically significant locations and sites. For more information on this program, please contact Russ McCabe (302) 744-5000. Chief Engineer of the Underground Rail Road in the state of Del. and the richest man in Del. He was convicted and fined in 1848 by the U.S. Dist. Court. Later he was fined twice for $10,000.00 each by Del., but was advised the fines wouldn’t be imposed if he would promise not to continue his efforts to aid fugitives in their escape from slavery. Instead, Hunn vowed never to withhold a helping hand from the down-trodden in their hour of distress. His great land holdings and all his possessions were sold at sheriff’s sale. His family was left utterly destitute, but he continued his efforts to abolish slavery until the great proclamation by Abraham Lincoln. His grave is adjacent to this Meeting House and this was his stepping stone and hitching post. His son “honest” John Hunn Jr. while Gov. of Del. 1901-05 was the first to advocate that women be admitted to the Univ. of Del. and that a paved highway be constructed the entire length of Del. He is also buried here.